On March 6, Stage 2 of the LRT passed at Council. We are still anxiously awaiting the opening of LRT Stage 1, which is the backbone of our future transit system. It is sure to modernize the transit experience in our capital city. Although disappointed by the delay in Stage 1, we are protecting the taxpayers by withholding further payments. In fact, no payments have gone to Rideau Transit Group (RTG) since February of 2018. I strongly believe in taking Stage 1 as a lesson learned and moving forward with expansion of our light rail system to reach all communities of Ottawa. As part of the contractual provisions to protect the City from additional costs, we continue to track all incremental costs which will be deducted from RTG’s outstanding payments. The City and OC Transpo continue to live through reputational risk as the delay to the Stage 1 LRT continues, but it is important to know that the public-private partnership is serving tax payers well by covering the additional costs. Attached is a useful slide regarding lessons learned on Stage 1. We need to continue to strive for better and clearer communication on consultations, reports and council approvals. Many questions have been raised in the last two weeks, that were asked by Council in March of 2017. At that time Council had committed to pursuing Stage 2 of LRT, and approved the procurement model and process for the Stage 2 LRT Project. Many months have passed since then, as well as a municipal election, which saw seven new members join the Council table. Those new members were not necessarily aware of the procurement process. Council decisions can at times significantly shape our future decision making. At that March 2017 Council we also directed staff to proceed with the procurement process and recommend “preferred proponents” (future builders). City staff then became responsible to pursue that direction, which became a legal understanding between all parties, including organizations that submitted bids for Stage 2 LRT. Many were confused as to why we can’t re-open some of the elements of the conversation. We all want a seamless project. While it is true that Stage 2 is $1.2 billion over the budget estimate, this can be partially explained by the $700 million in City capital work, which has been bundled with the Stage 2 work. Council overwhelmingly supported Stage 2 of LRT, which extends in three different directions (east, west and south). The preferred proponent for the Confederation Line East and West extensions is East-West Connectors, which is led by Kiewit and Vinci. The contract for the southern extension of Line 2 – The Trillium Line – was won by TransitNEXT – SNC Lavalin. SNC Lavalin respected all requirements, and based on an extensive review process they were selected as the preferred proponent. To be clear, the political issues involving SNC Lavalin have nothing to do with Stage 2 or Stage 1 LRT in Ottawa. We started the LRT construction journey because during the peak times we cannot fit more buses on Slater or Albert. OC Transpo started with regular buses, then articulated buses, and in recent years has had to go to double deckers to provide required capacity. The only way to solve the bus congestion challenge is by moving to an underground system. Our city’s core faces daily traffic congestion and Stage 1 alone will not solve them. We want the majority of residents to have access to transit. Stage 2 will accomplish this by having 77 per cent of our residents within five kilometres of a train station. Construction of Stage 1 is nearly complete. The majority of stations are ready for occupancy permits, and all 34 train cars have now built. The safety and information technology systems are being tested. Before going into service, we will have an independent safety auditor sign off and a 12 day trial period of the full train schedule. During this trial period, the trains will run just as when the system is in service, except without any passengers. Provided the trial run goes smoothly, the LRT will officially open shortly afterwards. Safety and system reliability are our primary focus as we continue testing and commissioning activities. We cannot afford to wait. The suburban and rural communities of the east, west and south need fast efficient transit in order to make Ottawa a modern capital. No matter where you live in our city transit should be a reasonable way of getting around. Stage 2 is not perfect. OC Transpo will need to focus on service on our main streets within the urban communities, including Montreal Road, Bank Street, Bronson Avenue, Merivale Road, and Carling Avenue. However, widening streets and increased vehicle usage is not the answer. Alternative transit priority measures are being examined and implemented along these corridors to ensure transit can run as reliably as possible without delays. 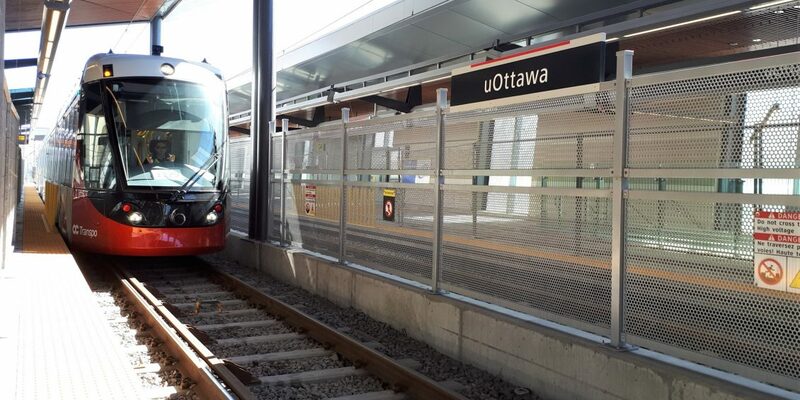 A well-used transit system offers a significant opportunity for Ottawa. To do it right Council must demonstrate cohesion via continued investments in modern transit. The investment will resolve traffic congestion, lower greenhouse gas emissions and make Ottawa a more attractive and livable city overall.